1.We will handle all of the paperwork necessary to file your claim with all major insurance providers. Give us a call or tell your provider you would prefer to use A.R.C. AUTO GLASS INC.
2.Simply schedule your appointment with A.R.C.AUTO GLASS INC. and pay your bill at the conclusion of repairs. Then submit your bill to your insurance agent or company for reimbursement. 3.Call your insurance company. In most cases, you will have an option for glass claims. Once you choose this option you may be transferred in to a third party administrator. The administrator will verify online your coverage and statement of loss.Once coverage is verified you will be given a referral number. You can then inform your administrator you would like A.R.C. AUTO GLASS INC. to handle the repair for you. This referral number is the information we will need to communicate with the administrator and handle the insurance billing. Remember, the administrator is legally prohibited to suggest any specific auto glass shop especially one associated with them. 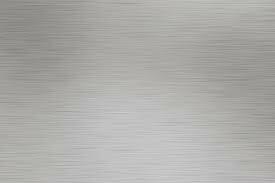 You alone have the right to choose the repair facility that best suits you. Next, the administrator will either hold a three-way call to schedule the appointment or they will send us the dispatch of the work order and once we receive that, we will call you to schedule an appointment. At this point, we handle billing the insurance company any amount above the deductible. A.R.C. 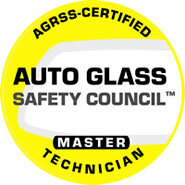 AUTO GLASS INC. is a accredited glass shop with all major glass administrators. We can handle your Auto Glass claim for you from start to finish. It`s as easy as signing and driving. Just give us a call and we`ll get you scheduled. We Offer Free Mobile Service to your Work or Home.Most installations take no more than 30 minutes. Welcome, at ARC Auto Glass we are a company devoted to are customers needs and quality workmanship. Conveniently located between Niagara falls and Buffalo,New York for faster service to the greater Buffalo metro area. With are Mobile Auto Glass Service we can come to you at your work or home. We Replace with only the best Automotive products available for Car Windshield repair and New Auto glass Replacement Installations. Note: When filing a Claim the Insurance Carrier will need to speak directly to you to verify its accuracy.